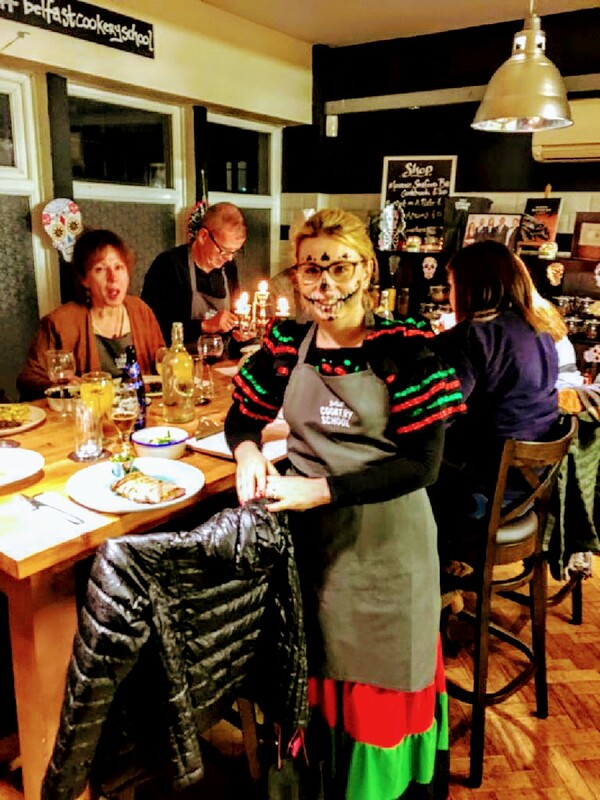 Belfast Cookery School recently hosted a very Special Halloween class, serving up the best Latin Cuisine to celebrate the famous ‘Fiesta De los Muertos’!! Guests got into the spirit of the night, dressing in classic ‘Day of the Dead’ costume and makeup. A Peruvian Ceviche was prepared for the first course. 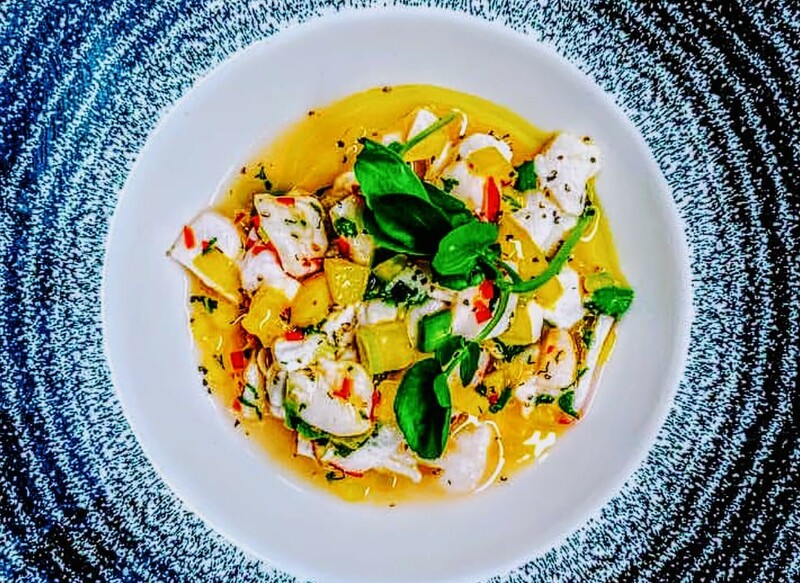 Ceviche is a classic South American dish, prepared using raw fish, citrus juice, chilli and herbs. Ceviche is considered Peru’s national dish and is thought to have been eaten in the region for over 2000 years. A perfect start to our festival! 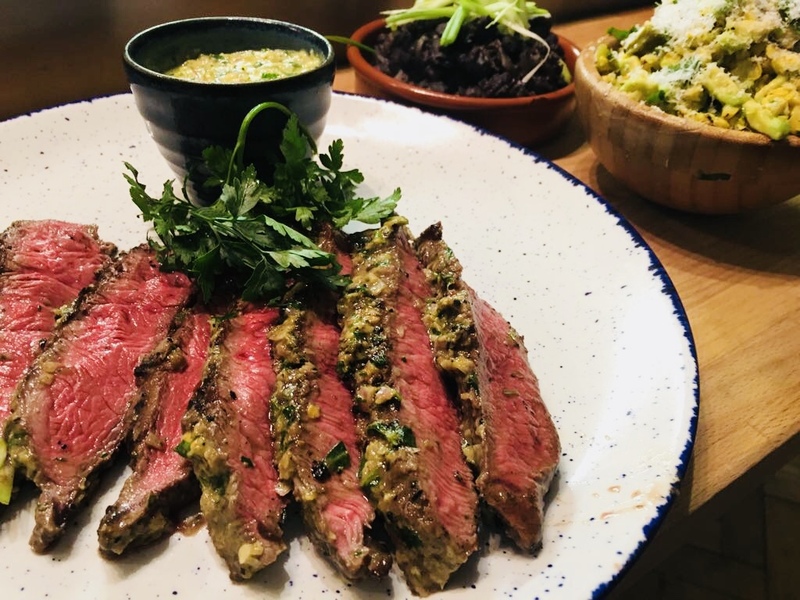 The Main Course, A Charred Flat Iron Steak ‘Chimichurri’, complemented by 2 South American classic accompaniments, Refried black beans and a colourful and flavoursome cactus, corn & avocado salad. Chimichurri is a traditional Argentinian uncooked sauce used as a marinade. Our Recipe calls for Garlic, Parsley, Oregano, chilli flakes and Lemon. The name roughly translates as ‘A mixture of things in no particular order’, and its strong flavours were perfect for getting guests in the festival mood! To finish, our Guests made a Venezuelan ‘Flan Quesillo’. 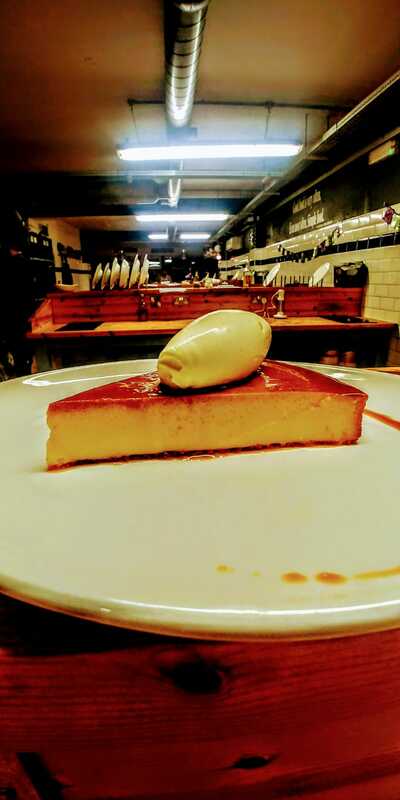 This South American version of the classic Spanish dessert is a sweet custard, normally garnished with a layer of caramel sauce. 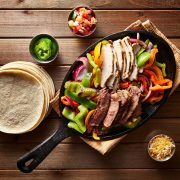 A light and tasty way to finish the night! Belfast Cookery School runs classes throughout the year reflecting seasonality and celebrating a range of holidays and festivals. Our class schedule for the next three months is available to view on our website. Keep a close eye on our Christmas themed classes that fill up fast over the festive season!